There are over 71 restaurants, bars and live music venues and Hermosa has become a party destination. This town explodes with activity on weekends and without a doubt, has the largest number of entertainment options within the smallest radius of any California pier. Since the 1940’s, The Lighthouse Cafe located on Pier Plaza has been a haven for musicians and music lovers alike. The Lighthouse first gained popularity with the world renowned jazz group, “The Lighthouse All-Stars” and many classic jazz albums have been recorded there. 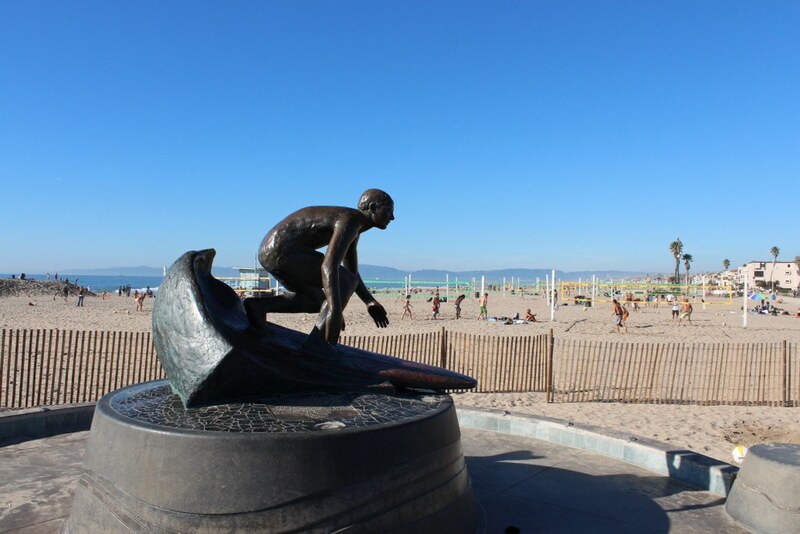 A statue at the pier’s base is dedicated to Life Guard Tom Kelly, who was killed at age 24 in a car accident (watch out for those dangerous cagers). Nets cover the beach because Hermosa hosts the AVP Volleyball tournament with over 50,000 spectators visiting over a period of 3 days.